Complexitatea autovehiculelor a ajuns atat de mare incat este greu sa pastram o perspectiva clara asupra sistemelor si subansamblelor oferite de producatori. Gasiti mai jos un tabel cu cele mai folosite abrevieri din automotive cat si ce inseamna fiecare. 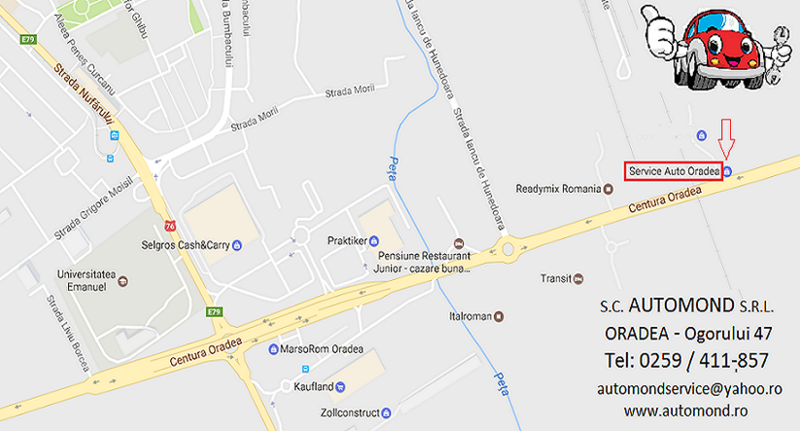 Cautarea abrevierii dorite o puteti face apasand tastele "CTRL " si "F". Se deschide o fereastra in care treceti textul dorit, dupa care se pasa tasta "Enter". 4WS Four-wheel steering. All 4 wheels are steered, not just the front wheels. 4X4 Vehicle with 4 wheels, all of which are driven (all-wheel drive). See also 4WD. Air charge temperature. Temperature of charge air with turbocharger. ADAM Advanced dynamic aid mechanism, mechanical braking assistant (Teves). See also BAS. ADB Automatic differential brake. BMW system replacing conventional limited-slip differentials (ensures traction by braking wheels). Subfunction of DSC (BMW ESP). AK Automatic clutch. Clutch operates when driving off, shifting, and stopping. ANC Active noise control. System actively influences the intake noise, reducing it by about 15 dB. APB Active parking brake. Teves system containing interface to electronics, with driver-assistance functions such as drive-off assistance, parking aid, and immobilizer. ARMADA Triggering unit for restraint systems with external differentiated triggering. Airbag system from DaimlerChrysler. ASMS Automatic stability management system. See also ESP. AYC Active yaw control. Rear-axle limited-slip differential (Mitsubishi). See also ACD. AZG Adaptive cylinder equalisation. Quantity equalisation control. BBA Service brake system. Enables the driver to reduce the speed of a vehicle in steps during operation (including to standstill). In addition to the service brake system, a vehicle can have a parking brake, a retarder system, or an auxiliary braking system. A service brake system can be a single- or multiple-circuit system and can work mechanically, hydraulically, or pneumatically. BBV Service-brake valve. Component of service brake system. See also BBA. BD Bd: baud. Unit for data transmission rate. 1 baud is 1 bit/second. BFA Passenger airbag. See also BF-AB. BPA Start of paraffin precipitation. Also called cloud point. Temperature at which paraffin crystals precipitate out of diesel fuel. CAN-H CAN High. One of the two data lines in the CAN bus system. See also CAN. CAN-HI CAN High. One of the two data lines in the CAN bus system. See also CAN. CAN-L CAN Low. One of the two data lines in the CAN bus system. See also CAN. CAN-LO CAN Low. One of the two data lines in the CAN bus system. See also CAN. CIN Calibration identification number. Part of OBD, consists of 3 letters and at most 12 digits. Can indicate hardware level, for example. COMAND Cockpit management and data systems. System for data exchange and driver information management. CPX CPx: high-pressure pump of a Common Rail diesel system, such as CP2. It is used in commercial vehicles. CR Common Rail. See CRS. CRI Common Rail injector. Injector of a Common Rail system, comparable to the injection valve of a conventional injection system. CRS Common Rail system. Special diesel direct-injection system in which the fuel is distributed to the injectors via a common line (Common Rail) under high pressure. CVN Calibration verification number. Part of OBD, contains the checksums for parameter settings, for example. D3 German exhaust-gas standard, parallel to European standard. Corresponds largely to EU3. See EU3 and EURO3. D4 German exhaust-gas standard, parallel to European standard. Corresponds largely to EU4. See EU4 and EURO4. DCU Diesel control unit or Dosing control unit. Unit for injection of urea (serves to reduce NOx). DIO Data input/output. Interface for exchanging data in both directions. DPHI dphi, delta phi, difference angle. See also PHI. DQ dQ: delta quantity, difference quantity. See also Q.
DVD Digital versatile disc. Storage medium with significantly higher storage capacity than a conventional CD. EAV Element shutoff valve. Shuts off an individual element of the high-pressure pump in the Common Rail system. EDG Electronic diesel control with integrated transmission control. MCC control unit, proper name. EEM Electrical energy management. Higher-order system that coordinates the interaction of the generator, battery, voltage converter, drive train, and loads. See also EES and VSC. EKS Electronic clutch system. Clutch engagement and disengagement is automatic. The clutch pedal is no longer needed. See also AKS. ELFI Electronic vehicle identification. Component of VW ELSA service information system. ELSA Electronic service information system. VW system for authorised workshops (garages). Comprises the components ELFI, ELWIS, and ETKA. ELV Electrical air valve, or Electronic steering or steering-column lock. See also ESL. ELWIS Electronic shop information system. Component of the VW ELSA service information system. ERWIN Electronic repair and workshop information. VW electronic service information system for independent workshops (garages) and fleet operators. Information offering is restricted compared to ELSA. ESGN ESGn: Special equipment, e.g., NWS, ETS, KGE, n=version no. ESL Electronic steering lock. See also ELV. ESS Electronic suspension systems. Continental Teves electronic air cushioning system. The system adapts automatically to vehicle load conditions, has continuously variable damping, and works together with ESP. ETKA Electronic parts catalogue. Component of the VW ELSA service information system. FAP Accelerator pedal or Vehicle analysis protocol. Log maintained by tester during diagnosis. Can be printed and given to vehicle owner as evidence of repairs performed..
FCKW Chlorofluorocarbon (CFC). Gaseous chemical compound that destroys the ozone layer. Contained in old refrigerants (R12) for air conditioners. FCV Fuel cell vehicle. Vehicle with fuel-cell drive, up to now only a Ford prototype. FFR Vehicle master computer. Diagnostic gateway in vehicle, installed in combined instruments or central electrical system. Also contains the immobilizer. FR FR signal: provides engine or engine/transmission control unit with information about generator load. GDI Gasoline direct injection, designation for petrol direct injection systems or vehicle models with this system. Usually proper name. GRA Speed control system. Alternative term for cruise control. GW Gateway. PC or computer that connects and controls data exchange between two networks. HH HH division, 4/4 division of brake circuit: circuits 1 and 2 brake all wheels. HID Hill descent (sensor). Sensor that registers downgrades or vehicle rolling. See HDC. HPI High-pressure injection. Direct-injection petrol engine used in Citroen and Peugeot. Comparable with GDI. HSCAN High-speed controller area network. CAN bus with high transmission rate (Opel). See also CAN, LSCAN, and MSCAN. HZR Heating control. Simple type of air conditioner. IAM Independent after-market. Service or spare-parts dealers independent of vehicle manufacturer. ICC Intelligent cruise control, Nissan distance control system; see also ACC. IHE Integrated hydroelectronics unit. Control electronics, hydraulic generator, and electric motor in Citroen Hydraktiv chassis. IPS Intelligent Protection System, integrated two-stage airbag system with retractable pedals, head/shoulder airbags, and active headrests. Used in Ford Mondeo. K-CAN Body CAN bus. Low-speed CAN bus for comfort-system and body electronics. See also PT-CAN and SI-BUS. KIW Combined instruments with service-interval indicator. See also SIA. LEV Low-emissions vehicle. Designation for vehicles with low emissions level. See also NLEV, SULEV, TLEV, ULEV, and ZEV. LFT Air temperature sensor, or Long (term) fuel trim (to counteract aging symptoms). See also LTFT. LSCAN Low-speed controller area network. CAN bus with low transmission rate (Opel). See also CAN, MSCAN, and HSCAN. LTFT Long-term fuel trim (to counteract aging symptoms). See also LFT. MCC Micro Compact Car. DaimlerChrysler subsidiary that manufactures the Smart vehicle. MEAB Mechanical shutoff device (diesel EDC). In newer systems, the shutoff is electrical (see ELAB). MLN MLn: Motronic based on air-flow sensor, n=version, usually proper name. See also LM. MNEFZ Modified new European driving cycle (exhaust-gas test cycle). See also NEFZ. MOST Media oriented system transport. Usually in conjunction with a bus system (MOST bus), via which various control units in the vehicle communicate with each other. MOZ Engine octane number. Expresses the knock resistance of petrol fuel (US variant of ROZ). MPV Multi-purpose vehicles (Mazda). Comprises the group of vans and small panel trucks. MRS Multi-restraint system. Temic or BMW system consisting of belt tensioner, belt force limiting, airbags, and safety battery terminal (see SBK). MSA Designation for diesel injection systems having an electronic volume control, start-of-injection control, and exhaust-gas recirculation. Systems without exhaust-gas recirculation are designated simply as MS.
MSCAN Medium-speed controller area network. CAN bus with medium transmission rate (Opel). See also CAN, LSCAN, and HSCAN. NHU Navigation head unit. Opel navigation control unit. NLEV National low-emission vehicles. US approval level for vehicles that must fulfil the current requirements. See also LEV, SULEV, TLEV, ULEV, and ZEV. NR Number, or Level control, or Natural rubber (often processed for use in truck tyres). OBF Upper control panel. Above or on the dashboard, some vehicles have switches or buttons, such as for the rear-window defogger. These elements together comprise a control panel, which is referred to as the upper control panel to distinguish it from another control panel near the gearshift lever or below the radio. OES Original equipment service. Service or spare parts via the vehicle manufacturer. OHC Overhead camshaft. Camshaft situated above the cylinder head. Often used in engine designations. OPC Opel Performance Centre. Centre for automotive sports (Opel). OTA Oxygen/titanium emissions sensor. Titanium oxide sensor. See also OZA. OZ Octane rating. See also ROZ. OZA Oxygen/zirconium emissions sensor. Zirconium oxide sensor. See also OTA. PEHKS Pedestrian protection hood kinematics system. Ford mechanical system that raises the hood (bonnet) in the case of an impact (such as hitting a pedestrian). See also POBSY. P-FP p-FP: Delivery pump pressure. PHI phi: Greek letter used to designate angles. PI Pilot injection. See also POI, MI, and HE. PML Parametric steering, assisted vehicle steering. The related data (parameters) are stored in the control unit. POBSY Pedestrian protection optimised bumper system. Ford bumper system made from energy-absorbing foam plastics to protect pedestrians. POI Post-injection. See also PI, MI, and HE. PSM Porsche Stability Module. Porsche-specific designation for ESP. PT-CAN Power train CAN bus. High-speed CAN bus for drive-train electronics. See also K-CAN, SI-BUS. PTS Park-Tronic System. Parking aid. See also PDC. Q1 Fuel quantity for cylinder 1. Similarly Q2, Q3, etc. QGS Quick glow system. Rapid pre-heating system for diesel engines. QHS Quick heat system. Rapid diesel pre-heating system. RAS Rear-axle steering. Actively steered rear axle used in buses, for example. RFT Run-flat tyre. Special tyre that can also be used in an emergency. ROM Read-only memory. Program memory of processor, or other memory, that can only be read. RSC Run-flat system component. Tyres with emergency-running properties. See also RFT. RX Receive line (contrast with TX line). SAM Safety (or signal detection) and triggering module. Designation for Mercedes control unit. SBK Safety battery terminal. Part of airbag system. In the case of an accident, the battery is rapidly disconnected from the starter cable in order to prevent short circuits and reduce the risk of fire. SCS Stability control system. Simplified form of ESP (Mitsubishi). Prevents vehicle tilting or skidding. SCU Sensor and control unit. Control unit with integrated radar sensor, main component of ACC system. SELECT HIGH Select-high control for commercial-vehicle ABS systems. The pressure level is geared to the wheel running with the higher coefficient of friction. SFT Short (term) fuel trim (lambda-parameter correction). See also STFT. SHR Select-high control for commercial-vehicle ABS systems. The pressure level is geared to the wheel running with the higher coefficient of friction. SIA Service interval indicator. Shows the driver that oil change or annual inspection is required, for example. See also WIV. SIDC Safety and information bus system. See also K-CAN and PT-CAN. SIR Seat electrical system, right. SKF Spike characteristic. Relates to Porsche transmission controls. SLR Select-low control for commercial-vehicle ABS systems. The pressure level is geared to the wheel running with the lower coefficient of friction. SO2 Sulphur dioxide. Pungent gas causing respiratory diseases. It is thus an aim to reduce the sulphur content in exhaust gases. STFT Short-term fuel trim (for lambda-parameter correction). See also SFT. SULEV Super ultra-low emissions vehicle (group in classifying exhaust-emissions levels). See also LEV, NLEV, ULEV, TLEV, and ZEV. SUV Sport utility vehicles. Vehicle group comprising off-road-capable, leisure-activity sport vehicles and commercial vehicles with all-wheel drive (fun vehicles). Better suited for on-road than off-road. Examples: Mazda Tribute, Mercedes ML 320. SVC Saab variable compression. The cylinder head is tilted in order to modify the compression ratio, or Speed volume control. Speed-dependent volume control for car radios. SWT Side wall torsion sensor. Detects longitudinal and transverse forces directly at the wheel during acceleration, braking, and in curves. Currently employed for quick-reaction ABS and ESP systems, in the future possibly for counteracting wind gusts. THS Toyota hybrid system. Hybrid of combustion and electrical drive, with electronic control. THZ Tandem master cylinder. Master brake cylinder for hydraulic brakes. TIPTRONIC Porsche or VW electronic transmission control. The control can be operated via a small device on the steering wheel. TLEV Transient low-emissions vehicle (group in exhaust-emissions classification). Comprises vehicles with low emissions levels. See also LEV, NLEV, SULEV, ULEV, and ZEV. TNA Signal output for engine speed. TQ Time quantity (usually TQ signal). Fuel consumption signal. TT TT division. Black-and-white division of brake circuits: one circuit in front, one in rear. TWA Twin-wheel axle. Axle with twin tires on each side. UBF Lower control panel. Near the gearshift lever or below the radio, some vehicles have switches or buttons, such as for the rear-window defogger. 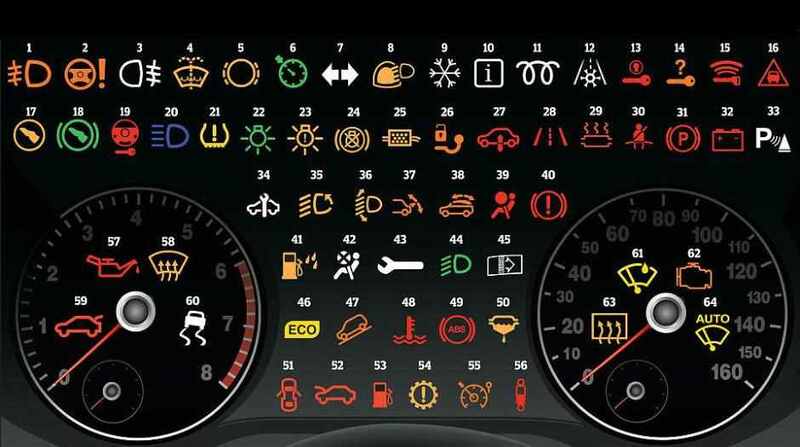 These elements together comprise a control panel, which is referred to as the lower control panel to distinguish it from another control panel on or above the dashboard. UCL Understeering control logic. ESP system used in Renault Megane. ULEV Ultra-low emissions vehicle (group in exhaust-gas classification). See also LEV, NLEV, SULEV, TLEV, and ZEV. UMTS Universal Mobile Telecommunications System. Standard for the 3rd generation of mobile radio communications. Is to replace the analogue radio system over the long term. UP Unsaturated polyester. Thermosetting plastic used in body construction or to manufacture pressure-resistant containers. USB Universal serial bus. The USB interface permits simple connection of various peripherals to a PC. USG Non-interrupting manual transmission. Two clutches (drive-off and load-shift) enable electronically controlled driving without shifting interruptions. UV Ultraviolet. Used mostly in conjunction with light or radiation. V/MS V/ms: volts per millisecond, unit for voltage per time. VAN Vehicle Area Network. The VAN bus is a bus system that interconnects various components in the vehicle. This can be a CAN bus, but it can also be another type of bus. VPC Volvo Personal Communicator. SCC element with fingerprint sensor that detects the identity of the driver and makes driver-specific adjustments. VSA Vehicle stability assist. System similar to ESP. VTG Variable turbine geometry. The turbine has movable guide blades, which can be varied depending on the operating state of the vehicle. A turbocharger with variable turbine geometry offers the advantage that it is more responsive than a conventional turbocharger with fixed turbine geometry. WIV Service interval extension. Under certain conditions (use of special oils, etc. ), service can be performed at greater intervals. Also referred to as Longlife Service (VW, Audi). WSS Window screen system. A type of night-vision unit (DaimlerChrysler). Supports driver in night driving by making an infrared image of what is visible through the windscreen and displaying it on a separate screen. X X division. Diagonal division of brake circuits: one circuit for left-front and right-rear, and one circuit for right-front and left-rear. ZEV Zero-emissions vehicle. Vehicle producing no exhaust gases. See also LEV, NLEV, SULEV, TLEV, and ULEV. ZME Trim unit. Control unit for the high-pressure pump (such as CP3) of a Common Rail system. Measures the fuel quantity fed to the pump.